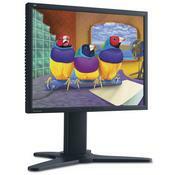 ViewSonic VP2130b is a 21.3″ LCD featuring PerfectSuite Screen control software, ClearMotiv 8ms video response with Amplified Impulse technology, advanced ergonomics including pivot, 5.3″ height and 270º swivel adjustments, OptiSync connectivity which offers both digital and analog input. All these specification enables amazing video and high-density graphics. ComputerAct!ve reviewed ViewSonic VP2130b LCD monitor, gave the LCD monitor the rating of 4 out of possible 5 and concluded that if you’ve got a spare £700 and you’re in the market for a new monitor, it’s unlikely you’ll be disappointed by the VP2130b. And it’s reassuring to know that ViewSonic’s revised returns policy means that you won’t get any argument if you happen to find even a single pixel out of place.